Kid Friendly Rating: 13+ Rated “Teen” in the Google Play store. Features violence, gore, and scary plotlines. Undead hordes occasionally chase you through the wasteland. Language is generally PG and sexual content is minimal. You’re a survivor of an apparent helicopter supplies crash in a zombie post-apocalypse landscape. Your story appears vaguely suspicious, but a nearby settlement called Abel Township seems cautiously open to allowing you to stay, provided that you will work as a “Runner,” one of an athletic group of people who venture out from the settlement to gather necessary supplies from abandoned buildings. Your past name is not important. You are now Runner #5. 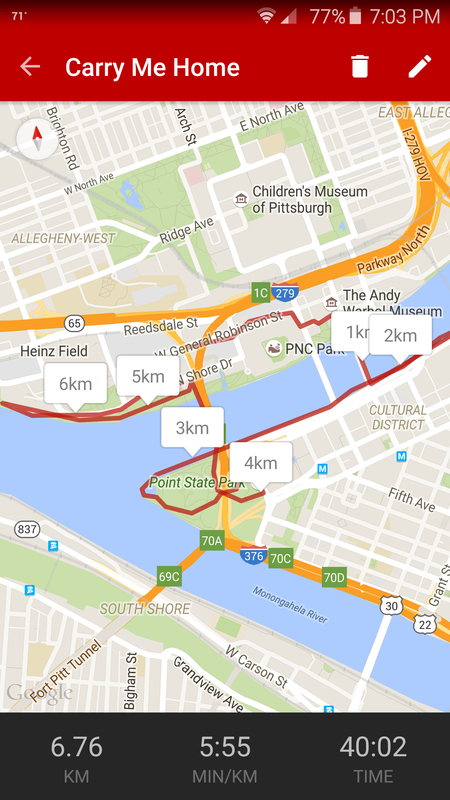 The primary intended function of the app is as a running companion. 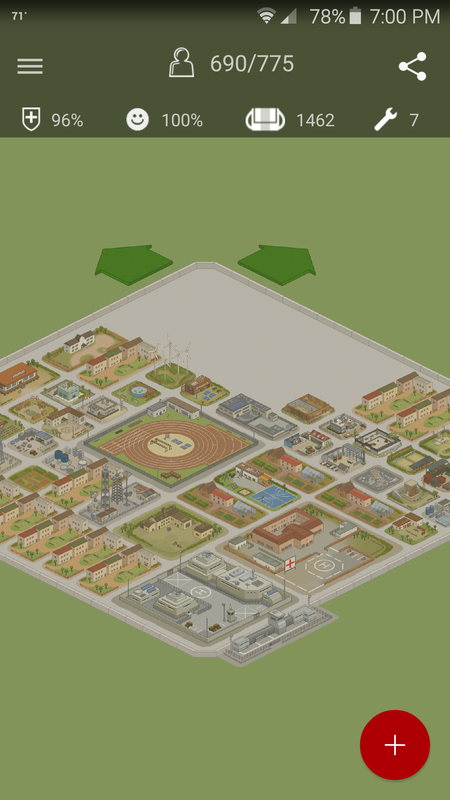 Each story segment begins with a set-up communicating why the run is necessary, and the story is updated via radio communications with the base every few minutes. In between updates, you can listen to your personal playlist, music services like Pandora and iHeartRadio, or nothing at all. 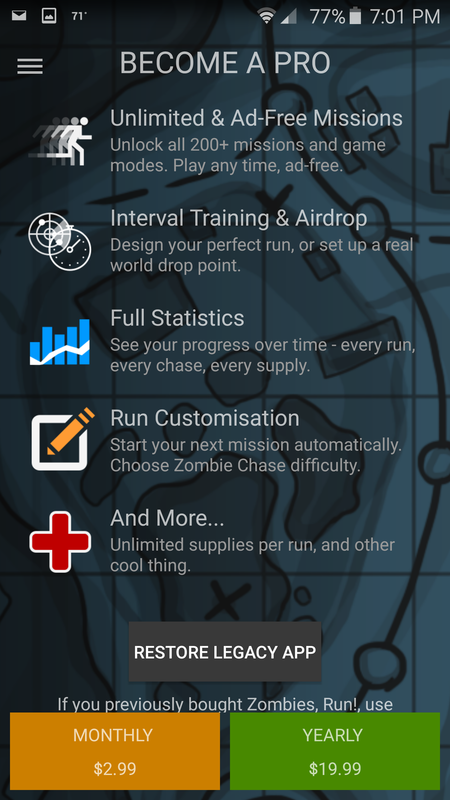 Enabling zombie chases in GPS mode triggers occasional warnings that zombie hordes are approaching, and you must sprint away or risk being overtaken and losing the supplies you’ve gathered. These supplies, by the way, are used to upgrade and expand your base, so you don’t want to lose them! This game has been through several iterations since its inception a few years ago. What began as a clever, yet very modestly designed fitness app has evolved into a really fun fitness companion with some nifty tools. 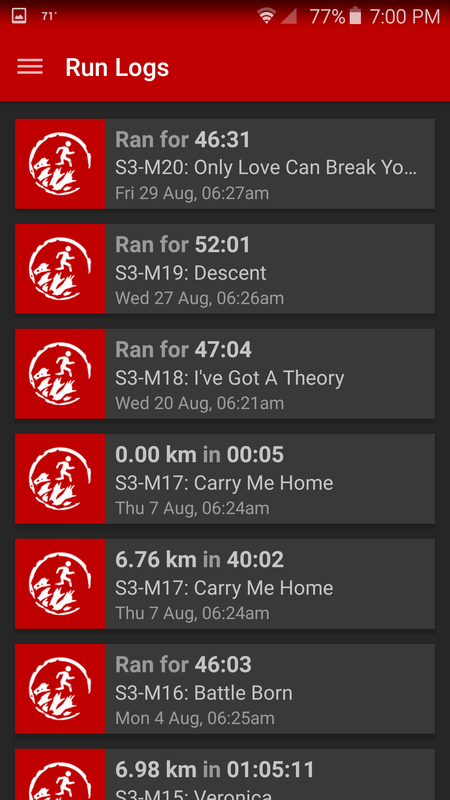 My favorite recent addition is a run log that can include a map of your actual run if GPS is enabled. You don’t need to use GPS to track your runs, though, and you don’t necessarily need to run at all. 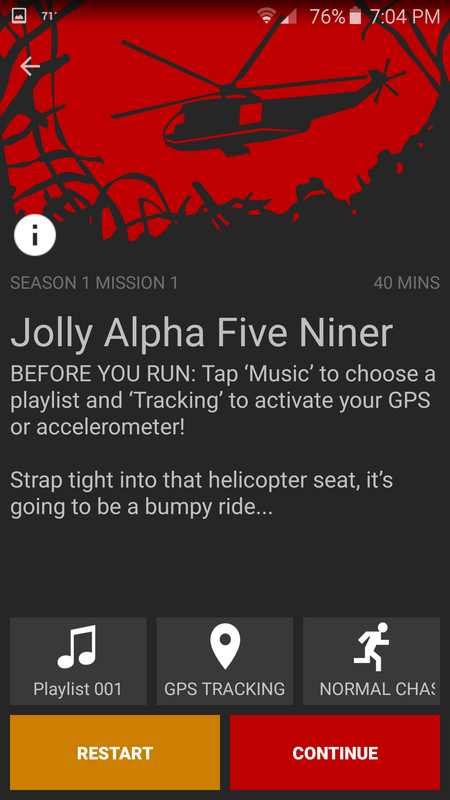 The app has an on board accelerometer, and also options to track for a set constant speed, or no tracking at all. I use it whether I’m on a run or just lifting weights. The stories are pretty well written, with adequate doses of suspense and humor. 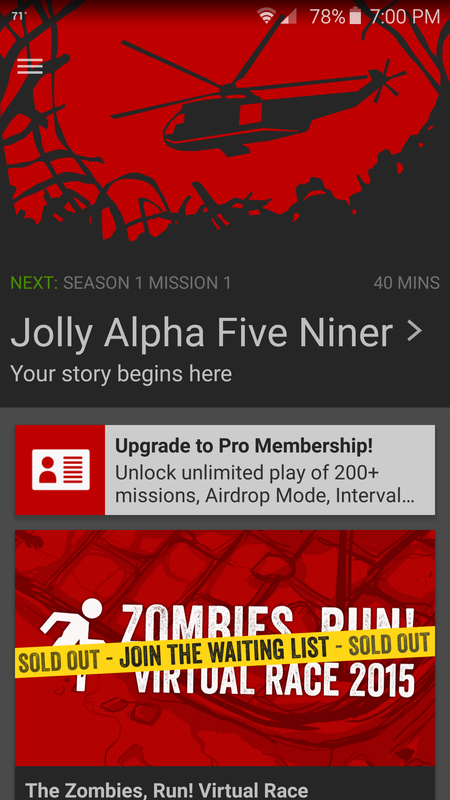 Missions can be set to play out over ~30 minutes or ~1 hr, depending on your workout preference. The hosts of “Radio Abel” provide especially funny segments after missions, or for any of your freestyle runs. 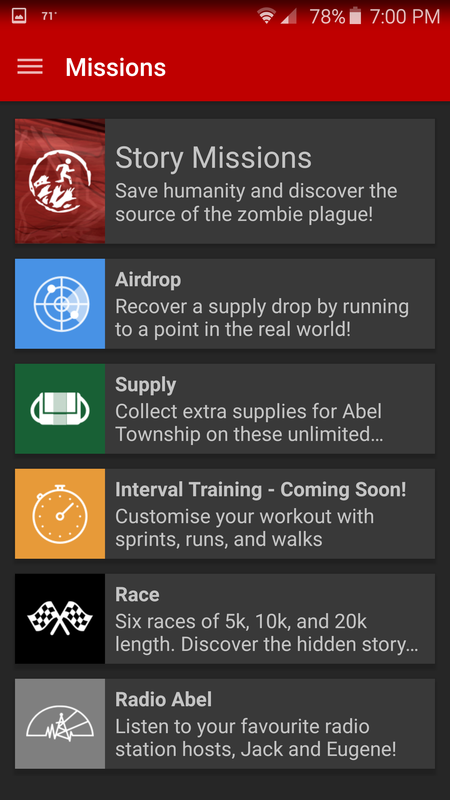 The app also includes other specialized missions, like searches for particular supplies, “airdrop” missions involving a run to a real, defined place on your GPS map, and “race” missions for 5k, 10k, and 20k distances. The current iteration of the game is free to play, although there are some membership upgrades. You can take a look at the pay structure here, but I really suggest that you just download the free app and see what it’s like if it interests you. Fees are the biggest drawback, but I do believe the content justifies the expense. I’ve also been frustrated at times by glitches and similar developer issues, but the app has become steadily more polished over time. I’m not a person who loves working out for the sake of it. I’ve always viewed it mostly as a means toward other goals, like being in shape for a particular sport/event, weight loss, etc. With age comes an appreciation for healthier lifestyles, including working out consistently, but motivation can still be tricky. This app won’t make me work out on its own (nothing would! ), but it does make it a little more enjoyable while I’m out there doing it, it gives me something tangible to work toward, and it helps the feeling of accomplishment when I finish a mission/workout. Are you a Runner #5? Let me know what you think! I really enjoy this app! I think I might continue to use it but the only think I don’t like is how long you have to wait between episodes if you continue the free version.